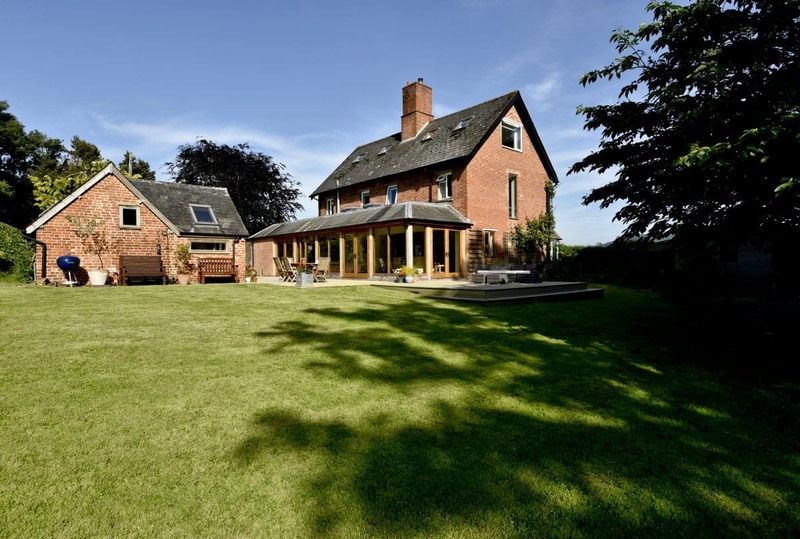 Our clients had purchased a house on a two acre plot with wonderful views over the north Herefordshire countryside. 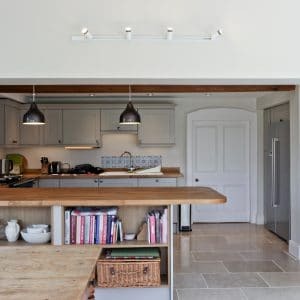 However, the house did not make the most of its views and, because it had originally been two 19th century cottages that had evolved into one over time, it had an awkward sense of flow. 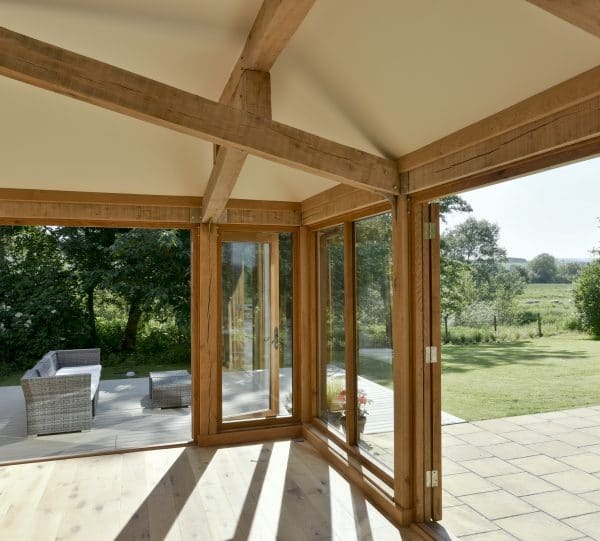 Our clients sought Communion’s help to reconfigure the internal layout of the house to give it a more coherent flow and create a relationship between the inside and outside. 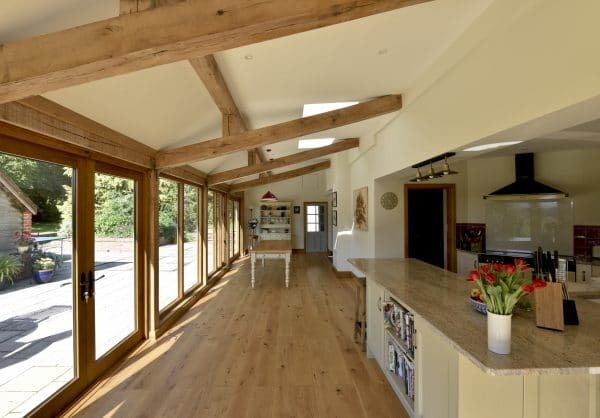 The result is a light, airy space that makes the most of the views over the countryside and has given our clients their dream home for their retirement. 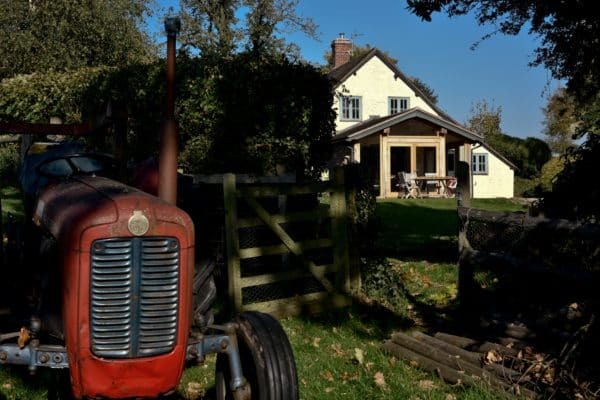 Our clients, Jenny and Simon, had retired from Surrey to north Herefordshire. 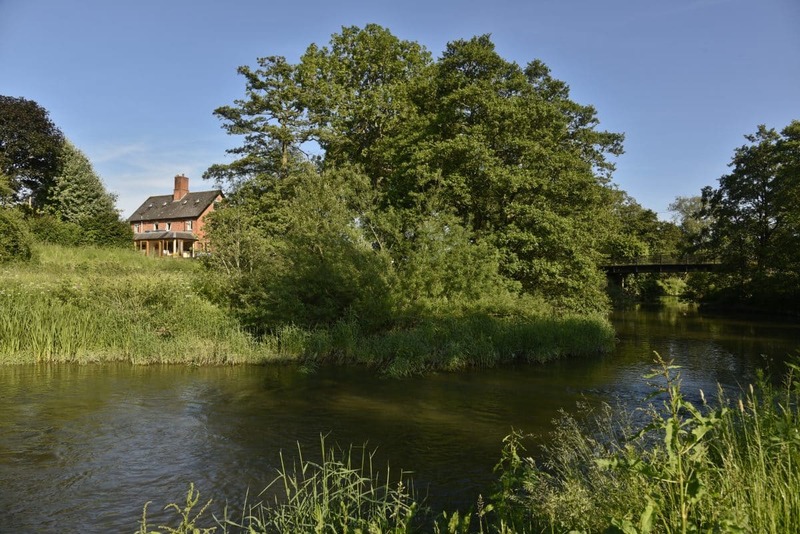 They had purchased a property close to a river that enjoyed wonderful countryside views. 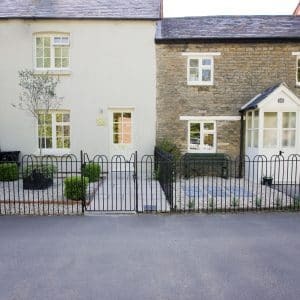 The house had originally been two 19th century brick cottages and the conversion had left it with lots of small, dark rooms that did not flow from one to the other easily. It also lacked a connection with its plot and did not make the most of its views. Jenny and Simon knew the house had potential and they had two aims to help them achieve it. The first was to create a light, airy, streamlined home in which the rooms flowed more easily. The second was to have a better connection with the outside, partly to make the most of the views but also because they are keen gardeners and bird watchers. At the same time, they wanted to keep some semblance of the house’s history as two cottages. 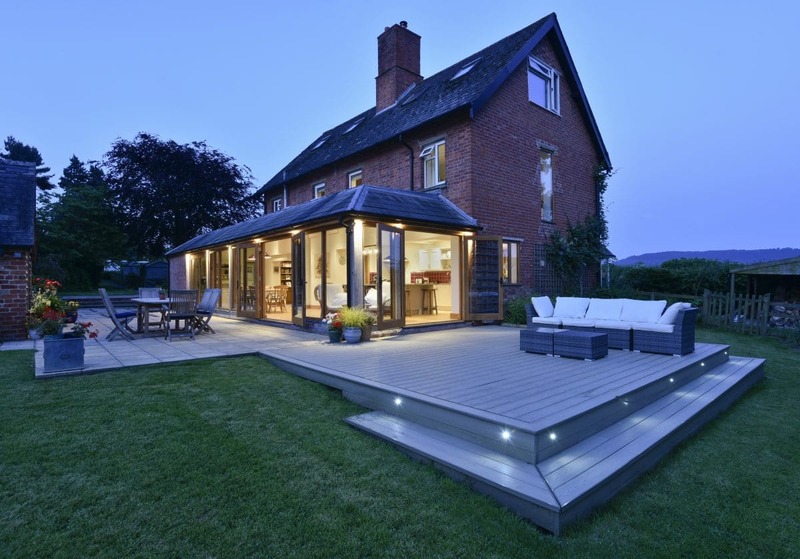 The house was their first major building project and they knew they would need help from an architect who could help them get the design right. 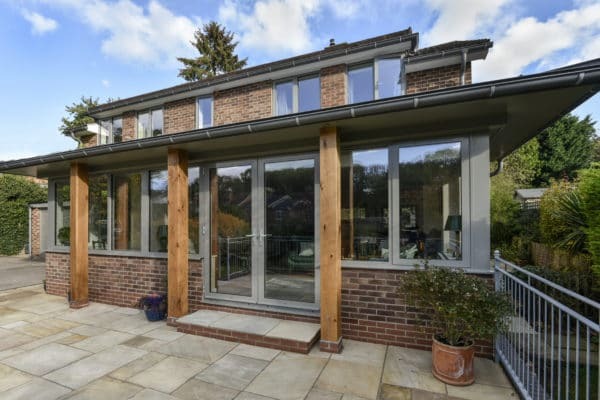 They also knew they would value the expertise an architect would be able to provide in terms of guiding them through the process from start to finish, including gaining planning permission and liaising with the building contractor and specialist trades throughout the construction phase. Our Five Stage Process gave them all the support they needed. We worked closely with Jenny and Simon to understand the vision for their home. It became clear that creating the vision would cost more than the couple would be comfortable spending. We therefore worked through our value engineering process, understanding which elements of the project were essential to their vision and which were less important. By doing this we created a design that gave them what they needed within a budget they were happy with. Our agreed solution involved reconfiguring the back of the house to create the open plan kitchen, dining and living space Jenny and Simon wanted. 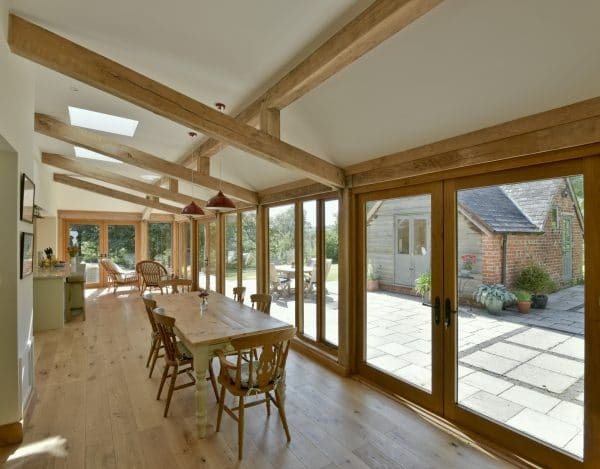 To do this we knocked four small rooms into one and built a small extension. 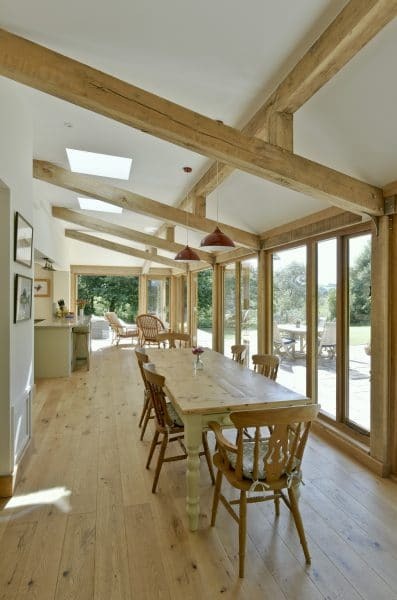 We raised the ceiling height in the space and inserted Velux windows. 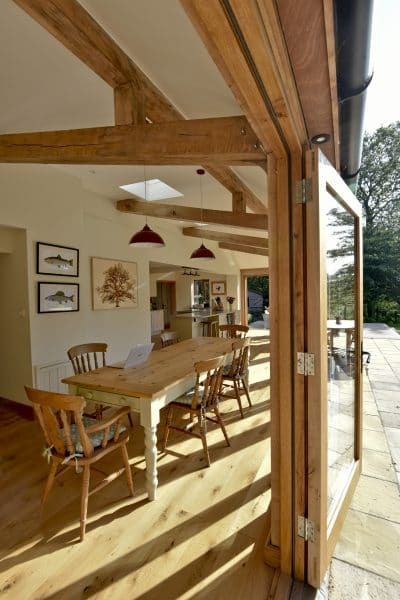 The reconfigured space has an oak frame with floor-to-ceiling glass windows and doors so the room is light and airy, makes the most of the views and means Jenny and Simon can move from the garden to the house easily. Outside, we added a deck where Jenny and Simon can sit to enjoy the views. In order to preserve a sense of the history of the house, we retained several of the original doors and the original flooring where possible. We also retained one of the two original staircases. Upstairs in the house we reconfigured the layout, including removing the second of the original staircases, to create three good-sized double bedrooms. Finally, in the roof space we removed a roof truss to create a more impressive master bedroom suite for Jenny and Simon. 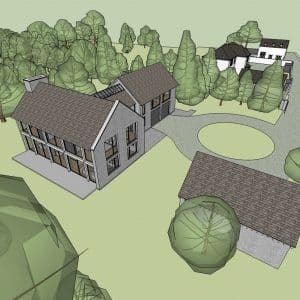 Once the design had been agreed we continued to work with Jenny and Simon through Stage Two of our process to secure the services of a building contractor and agree a contract for the works. We then moved to the construction phase. 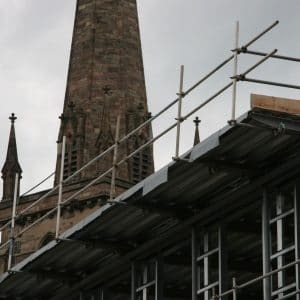 We held regular meetings with Jenny and Simon and the building contractor throughout the process to ensure the build was progressing as planned. We also issued certificates of completion at each milestone to confirm work had been finished to the required standard. Jenny and Simon are delighted with their home and the way its layout matches the way they live. It has allowed them to live the retired rural lifestyle they imagined.